Oliver PERKINS Jr. (1740 – 1805) was Alex’s 6th Grandfather; one of 128 in this generation of the Shaw line. Oliver Perkins Jr. was born in 1740 in Connecticut. His parents were Oliver PERKINS Sr. and Hannah GATES. Oliver died in Apr 1805 in Saratoga County, New York. The name of Oliver’s wife is not known. Oliver’s first cousin once removed, also Oliver Perkins Jr. (b.1770) married Ann Kennedy on 27 Dec 1792 in Voluntown, Connecticut. This Oliver was the son of Oliver Perkins and Ruth Wilcox, grandson of Newman Perkins and Mehitable Godfrey, and great grandson of Oliver’s grandfather Ebenezer PERKINS Sr. and Hannah STAFFORD. Our Oliver was living in Saratoga, New York at the time. 13 Feb 1803 24 Mar 1856 Farmington Township, Tioga County, PA.
Martin Irish, Ashbel Irish, Oliver Perkins, Silas Deuel, Ephraim Anable, Stephen Viele, Johannes Viele, Ludovicus Viele and Jesse Toll are known to have been located in Saratoga prior to 1790. The latter at one time owned an entire grand division of the Saratoga patent — six square miles of land. Oliver Perkins was listed 1790 NY Census at Saratoga, Albany Co., NY. He had a large household of 10, though there doesn’t seem to be room for a wife in the count. The first around settlements Saratoga Lake New York were made about 1785. Oliver Perkins was a resident of Saratoga New York in the 1790 and 1800 census. One source locates his there as early as 1777. Marks for cattle are recorded in 1789 by Grover Buell, Thomas Thompson, John Craig, Sidney Berry, John Berry, Asaph Putnam, Silas Duell, Oliver Perkins. Among cattle-mark records, 1795, we find Enoch Phillips, David Ackerman, Augustus Green, Matthew Van Amburgh, Jonathan Foster, William Smith, Christopher Perkins. There was a Gamaliel Vail living in Saratoga in the 1790’s. I have never heard of the name Gamaliel before. Maybe this is a lead to Oliver’s wife. Though this page says no. My two sons: Jacob and Gamaliel My daughters: Prudence, Sally, Betsy, and Charlotte Jacob Perkins and Thomas Hunt, Exe. Written: 3 April 1805 Probated: 20 April 1805. The town of Northumberland was first settled about ten years before the Revolution. Hugh Munroe came to Northumberland in 1765 and erected a saw mill on the bank of one of the creeks in the eastern part of the town at Gansevoort. He was a noted Tory. He fled to Canada and his property was confiscated. James Brisbin settled, also in 1765, about a mile and a half west of Fort Miller. Archibald McNeil probably was the first to locate at what is now Northumberland village. Fort Miller was built -in this town in 1755, under the direction of Colonel Miller. It was located upon the flat, above the rapids, and was inclosed on three’ sides by the river. A blockhouse was built on the heights that commands the position on the west. Fort Miller bridge was first erected by a company incorporated March 16, 1803. A new bridge was built in 1845. John De Monts opened a store just above Fort Miller soon after the Revolution. Alexander Bacon had the first store at Bacon Hill and Charles Carpenter at Northumberland village. There are three small villages in Northumberland. – Gansevoort was named after Colonel Peter Gansevoort, a Revolutionary hero who, at the close of the war, bought the estate of the Tory Hugh Munroe, discovered the irons of Munroe’s mill and erected a saw mill and a grist mill. Bacon Hill was named after Ebenezer Bacon, who came from Connecticut and settled there in 1794, opening the first frame tavern in town that year. The place was formerly called Fiddletown and Pope’s Corners. Northumberland lies on the Champlain canal in the extreme southeastern part of the town. Charlotte’s husband was not Ephraim Annable. In fact , the Charlotte who married Ephraim Annable was Charlotte Hall, daughter of Moses Hall and Lucy Hart, who were also of Saratoga County. Lucy (Hart) Hall’s Revolutionary War widow’s pension file (#W.23193) proves that Charlotte Annable was actually Charlotte Hall, not Charlotte Perkins. In it is an affidavit signed 20 August 1838 by Charlotte in which she identifies herself as “wife of Ephraim Annable,” and further says that “Lucy Hall….is her mother” and that “her father” was Moses Hall. Note: some sources say that Ephraim’s wife was Charlotte Hall and her parents were Moses Hall (1755 – 1837) and Lucy Hart (1764 – 1848). They agree she was from Wallingford, Connecticut and moved to Saratoga, New York. 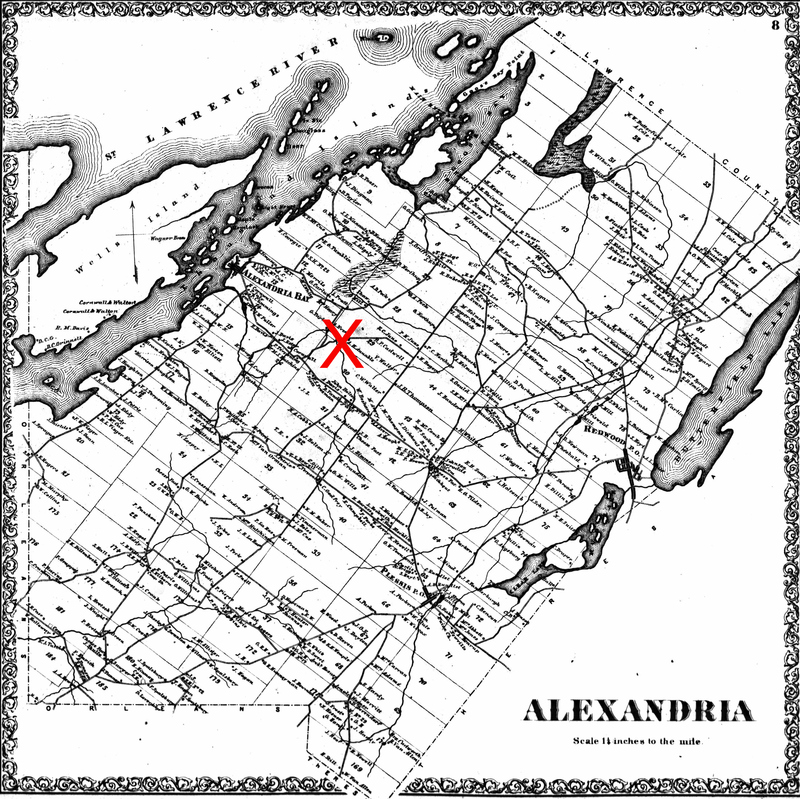 In the 1870 census, Abner and Martha were farming in Alexandria, Jefferson, New York. In the 1850 census, Hiram and Elizabeth were farming in Saratoga, Saratoga, New York with eight children at home. iii. Alonzo Perkins b. 17 Oct 1809 in Saratoga, New York; d. 11 Aug 1883 in Saratoga, Saratoga, New York; m1. Ann Myers; m2. Rebecca King (b. 1820 New York – Aft. 1880 census) In the 1850 census, Alonzo and Rebecca were farming in Stillwater, Saratoga, New York. iv. George Perkins b. 26 Dec 1811 in Saratoga, Saratoga, New York; d. 7 Aug 1845; m. Margaret C. Wright (b. 1818 New York) In the 1850 census, Margaret was a widow living in Saratoga, Saratoga, New York with three children ages 8, 10 and 12.
v. Julia Ann Perkins b. 6 Jan 1813 in Saratoga, Saratoga, New York; d. Aft. 1870 census Wesley, Will, IL; m. Henry D. Childs (b. 1804 NY) In the 1850 census, Julia Ann and Henry were farming in Wilmington, Will, Illinois. vi. Mary Griffin Perkins b. 26 Jul 1815 or 1819? in Saratoga, Saratoga, New York; m. 9 Oct 1839 to Schuyler Parshal (b. 27 Jul 1819 in Palmyra, New York – d. 28 Oct 1890 in Tuscumbia, Alabama) His parents were Nathan Parshall and Mary Ann Galloway. In the 1850 census, Schuyler and Mary were living in Palmyra, Wayne, New York where Schuyler was a butcher. By the 1870 census, Schuyler had remarried to Mariah J [__?__] (b. 1830 NY) and was living in Courtland, Lawrence, Alabama. vii. Emerline (Emmaline) Perkins b. 25 Dec 1817 in Saratoga, Saratoga, New York; d. 11 Sep 1876 or 1 Feb 1891 in La Salle, La Salle, Illinois; m. John Butler Read (Reed) (b. 04 Dec 1813 in Stillwater, Saratoga, New York – d. 30 Jul 1857 in La Salle, La Salle, Illinois) His parents were William Read (1756 – 1834) and Nancy Keys (1770 – 1823) In the 1860 census, Emeline was a widow farming in Farm Ridge, LaSalle, Illinois with five children at home. xii. Caleb Perkins b. ? NY ? xiii. Stephen Perkins b. ? NY ? Gamaliel’s first wife Lucy Sherman was born 13 May 1787. Lucy died 12 May 1839 in Saratoga County, NY. Gamaliel and Lucy had seven children. Gaamaliel’s second wife Catharine Mulford was born 28 Apr 1800. Catherine died 09 Jul 1856 in Saratoga, New York. In the 1850 census, Gamaliel and Catherine were farming in Saratoga, Saratoga County, New York. All the children had grown and moved out of the house. Gamaliel and his son Martin were involved in real estate transactions which became a legal case study called The Farmers’ Loan and Trust Co. v. Maltby. In 1848, Gamaliel purchased land in Fort Edward, Washington County New York for his son Martin. In 1850, Martin forged a deed and filed it and took out a mortgage for $1,000. In 1859, Gamaliel conveyed the lands to Martin B. Perkins and the deed was recorded January 14, 1860. In 1867, Martin B. Perkins sold the land to the plaintiff, without having any actual notice or suspicion of the existence of the mortgage. In 1868, the loan commissioners of Washington county commenced a statute foreclosure of said mortgage by advertisement, and this action was brought to restrain said foreclosure, and to have said mortgage decreed void as against the plaintiff. The plaintiffs lost and the court ruled that the earlier irregularities were not material to the mortgage. I guess there was no title insurance in those days. An action The Farmers’ Loan and Trust Co. v. Maltby, was brought to restain the foreclosure of a mortgage executed by Martin B. Perkins and his wife, on the 1st day of October, 1850, to secure the loan of $1000 that day made by the then loan commissioners to said Martin, and to have the judgment of the court that said mortgage is not a lien upou said premises against the grantees and assigns of Martin B. Perkins, the mortgagor. The action was commenced January 23, 1869, in Washington county, and tried before Justice Bockes, at a special term, on a conceded state of facts, which facts were as Tefft r. Munson. Annual interest was paid and indorsed upon said mortgage, regularly, up to and including October, 1866, and one payment of $70 and interest was made and indorsed thereon, January 16, 1868. The mortgage, at the time it was executed, was duly entered, as at the date thereof, upon the said loan commissioners’ books, kept and provided for that purpose, as required by the statute of 1837, and the amendments thereto, and the said books were duly deposited and kept in the office of the clerk of Washington county, and properly indexed as required by law. On the 23d day of January, 1860, a deed of said lands, bearing date April 1, 1853, was recorded in the county clerk’s office, which deed purported to be executed by Martin B.Perkins and wife to Gamaliel Perkins. On the 16th day of December, 1859, Gamaliel Perkins conveyed said lands to Martin B. Perkins,by warranty deed, which deed was duly recorded January 14, 1860. Gamaliel Perkins held the title to said lands continuously, from the 18th day of January, 1848, to the 16th day of December, 1859, and he had no knowledge of the existence of the mortgage, or of any of the deeds to or from Martin B. Perkins, except the deed of December 16, 1859, and Martin B. Perkins had no title to said land until said 16th day of December, 1859. On the 31st day of January, 1867, Martin B. Perkins, who still remained in possession of said lands, sold and conveyed the same, by deed of warranty of that date, to the plaintiff, who paid full value therefor, and went into possession of the same, without having any actual notice or suspicion of the existence of said mortgage, or any notice of the same whatever, except such constructive notice as the law may have compelled him to take (if any) by reason of the recording thereof, as aforesaid; and the plaintiff has ever since remained in possession of said premises. Said deed to the plaintiff was duly recorded February 9, 1867. Whatever interest was paid on said mortgage, at any time, with the knowledge or assent of the plaintiff, was paid under protest of the plaintiff, and under an arrangement made by him with said loan commissioners, to the effect that the plaintiff should have time to investigate the matter, and decide upon the course to be pursued by him, and that any payment of interest so made should not affect the plaintiff’s rights, or operate to his prejudice. On the 28th day of October, 1868, the loan commissioners of Washington county commenced a statute foreclosure of said mortgage by advertisement, and this action was brought to restrain said foreclosure, and to have said mortgage decreed void as against the plaintiff. 1st . That by reason of the conveyance of the lands and premises to Martin B. Perkins, and of the covenants contained in the mortgage executed by him to the loan commissioners, such mortgage became operative as a mortgage upon said lands and premises, notwithstanding its execution prior to the time when he acquired title to the mortgaged property. 2d. That the plaintiff occupies no better position, as regards the mortgage or lien thereof upou the mortgaged property, than did his grantor, Martin B. Perkins. 3d. That the plaintiff is not entitled to the relief demanded in the complaint. To each of these conclusions the plaintiff duly excepted. From the judgment entered upon these findings and conclusions, the plaintiff appealed to this court. Boies & Thomas, for the plaintiff. Potter, Tanner & Potter, for the defendants. By the Court, P. Potter, J. By the act of 1837, under which the mortgage in question was given, the books of the loan commissioners, kept in the clerks’ offices, containing the entry of such mortgages, are made of the same effect, as to priority of liens, and as to their operation and effect, as if such mortgages had been duly recorded in the book of mortgages in the office of the county clerk of the count}- in which such mortgaged premises are situate. By the recording act, (1 R. S. 756, § 1,) “every conveyance of real estate is required to be recorded in the office of the clerk of the county where such real estate shall be situated; and by the 38th section of the same act, the term ‘conveyance’ embraces every instrument in writing by which any estate or interest in real estate is created, aliened, mortgaged or assigned, or by which the title to any real estate may be affected in law or equity. I think the case before us must be controlled by- the effect of the covenants in the mortgage given to the defendants, and of the recording acts in this state. 1. The conveyance by mortgage to the defendants was with warranty, and covenant “that Martin B. Perkins and his wife were lawfully seised of the premises of a good, sure, perfect, absolute and indefeasible estate of inheritance, and that the same were free and clear of, and from, all former and other gifts, grants, bargains, sales, liens, judgments, recognizances, dower, rights of dower and other incumbrances whatsoever.” Then the conceded rule of law is, that where a grantor, even has no title to the premises so conveyed with warranty, if he subsequently acquires an estate therein, such acquired estate will enure to the benefit of the grantee; if not by estoppel, it will upon the principle of avoiding circuity of action. Such a case is distinguished from the ancient conveyance by feoffment with livery of seisin, now fallen into disuse in England, and not applicable here, under our system; so too it is distinguished from mere grants, by deeds poll and quit-claim. A mere grant operates upon the possession; it simply conveys the estate and interest which the grantor had in the premises granted. If the grantor had no estate, it is obvious that there was no estate to be accepted; so that in the conveyance by grant only of lands, by deed or mortgage, the grantee is not estopped to aver that his grantor had nothing in the lauds granted. (Sparrotv v. Kingman, 1 N. Y. 252, <&c.) But the rule is different where the conveyance is by warranty. As was said by Marcy, J., in Jackson v. Bradford, (4 Wend. 622,) “the warranty will rebut and bar the grantor and his heirs of a future right. This is not because a title ever passes by such a grant, but the principle of avoiding circuity of action interposes and stops the grantor from impeaching a title to the soundness of which he must answer, on his warranty.” (Co. Litt. 265, a. 14 John. 194. Averill v. Wilson, 4 Barb. 187.) This warranty in the mortgage clearly estopped the grantor, Martin B. Perkins; and if the grantor or any one uing title from him, subsequent to such grant, seeks to recover the premises by virtue of such after-acquired title, the original grantee, or his heirs or assigns, by virtue of the warranty, may plead such warranty by way of rebutter or estoppel, as a bar to the claim. (Bank of Utica v. Mersereau, 3 Barb. Ch. 567, 568.) Chancellor Walworth in that case said: “This principle has been applied to all suits brought by persons bound by the warranty, or estoppel, against the grantee or his heirs and assigns, so as to give the grantee and those claiming under him the same right to the premises, as if the subsequently acquired title or interest therein had been actually vested in the grantor at the time of the original conveyance from him with warranty, where the covenant of warranty was in full force at the time when such subsequent title was acquired by the grantor.” And where an estoppel runs with the land, it operates upon the title so as actually to alter the interest in it in the hands of the heirs or assigns of the person bound by the estoppel, as well as in the hands of such person himself. This principle seems to be founded in equity and justice, as well as in the policy of the law, and applies equally to a case of covenants of warranty in a mortgage, as to those in a deed absolute. In this view of the case, the question is simple. The mortgage in question is an instrument within the recording acts. Although Martin B. Perkins, at the date of its execution, had no title to the premises, yet while he was in possession of them, and while his covenant of warranty was in full force, he became vested with the title in fee. This title enured to the benefit of the defendants by virtue of the warranty, by well established principles of common law. As between Martin B. Perkins and the defendants, this interest in the latter, in the lands, became as perfect as if the mortgage had been executed by Perkins after the date of his title. Bid the defendants lose this interest, by Perkins’ conveyance to the plaintiffs? I think not. ii. Clark Perkins b. Mar 1811 in Saratoga, New York; m. Jane [__?__] (b. 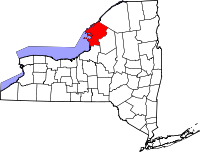 1815 NY) In the 1870 census, Clark and Jane were farming in Saratoga, Saratoga, New York. iii. Lewis T. Perkins b. Oct. 1813 in Saratoga, New York; d. 24 Jul 1881 Stillwater, Saratoga, New York; m. Sarah Barber (b. 10 July 1816 in New York – d. 5 Dec 1911) In the 1860 census, Lewis and Sarah were farming in Stillwater, Saratoga, New York. Sarah’s mother Patience (b. 1782 New York) was living with the familyu. iv. Martin B. Perkins b. 1815 in Saratoga, New York; d. abt 1872 in Indiana; m. Emily Swan (b. 1820 in New York – d. 23 Sep 1912 in Riverdale-on-Hudson, Bronx, New York) In the 1860 census, Martin and Emily lived in Schuylerville, Saratoga, New York where Martin was a jeweler (silversmith). Reports of cases in law and equity in the Supreme Court of the …, Volume 63 By Oliver Lorenzo Barbour, New York (State). 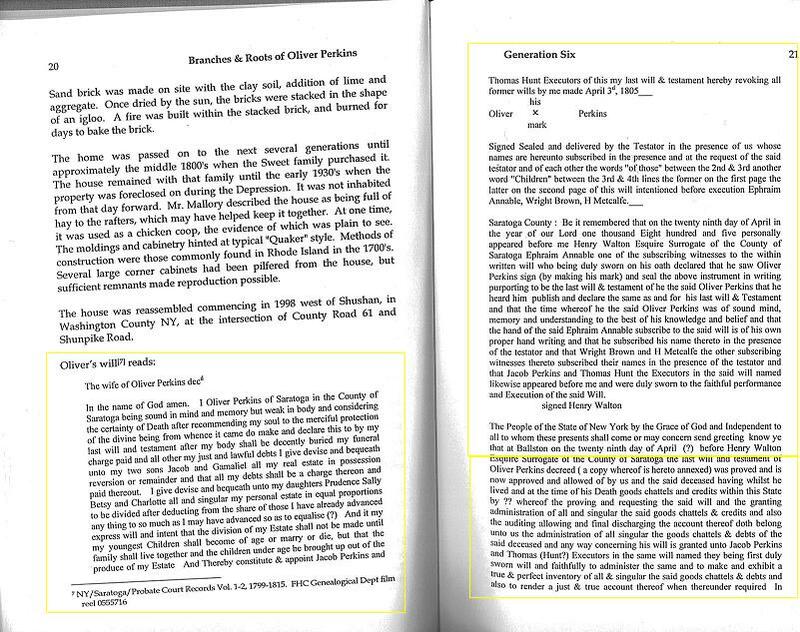 This entry was posted in -8th Generation, Line - Shaw, Missing Parents and tagged Saratoga NY Pioneer, The Farmers' Loan and Trust Co. v. Maltby. Bookmark the permalink. 6 Responses to Oliver Perkins Jr. Thank your for posting your research on the family of Oliver Perkins, Jr., of Saratoga County, New York. I am writing to comment on your identification of Charlotte, daughter of Oliver, as the wife of Ephraim Annable. 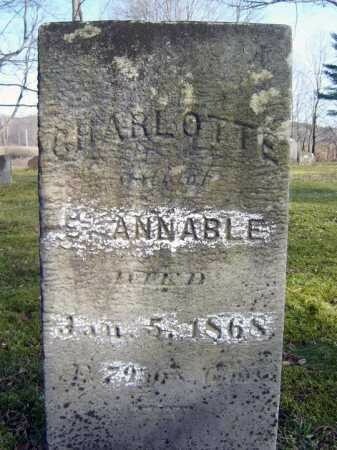 As you noted, some researchers have reached a different conclusion, namely, that the Charlotte who married Ephraim Annable was Charlotte Hall, daughter of Moses Hall and Lucy Hart, who were also of Saratoga County. In fact, Lucy (Hart) Hall’s Revolutionary War widow’s pension file (#W.23193) proves that Charlotte Annable was actually Charlotte Hall, not Charlotte Perkins. Charlotte’s statement conclusively proves that Oliver Perkins, Jr.’s daughter Charlotte was not the Charlotte married to Ephraim Annable. Who — or whether — Charlotte Perkins married remains unknown to my knowledge. I hope this is helpful. Best of luck in your research!